1. It’s one of the best places in the world to usher in the new year. Forget about freezing toes and a drippy nose while watching a ball drop; you know Aruba is the place to celebrate New Year’s. The weather is amazing, and there’s nothing better than hanging out on a hotel terrace or up California Point watching Catherine wheels light up the sky. Fireworks, both professional and amateur, rage unabated, increasing in frenzied frequency and degree until the magic hour and beyond. And at the stroke of midnight, every family and business lights a string of firecrackers — or pagara — that measure anywhere from 5,000 to 10 million. The resulting smoke wafts through to dispel any bad vibes (dubbed fuku) accumulated over the past year. 2. No day is too busy to stop and admire the golden Aruba sunset. Just about everyone — locals included — stops whatever they’re doing to watch the incredible sunsets that wrap up each day here. When you’re not planted on your very own spot of south- or west-facing beach, you’ve seen the cars of islanders lined up along the highway and shoreline as they pause on their way home from work to take in the show. And everyone knows sunsets just make beach bar happy hours so much happier. 3. Carnival isn’t a weekend or a season, it’s an unending Aruban state of mind. Veteran visitors to Aruba know Carnival isn’t only the weekend prior to Lent; it comprises months of events that showcase the spirit and talent of the Aruban people and their love affair with life. Nothing exemplifies “One Happy Island” like the parties and music contests that captivate islanders and vacationers for weeks on end. The atmosphere of Carnival envelopes you no matter what. With tradition demanding that newly arrived vacationers act as judges for choosing the ultimate Reina Grande (Carnival Queen), this festival is a blast. And unlike the more regulated events of other countries, the intimacy of Carnival in Aruba allows everyone to be totally engaged and immersed in the joie de vivre. 4. 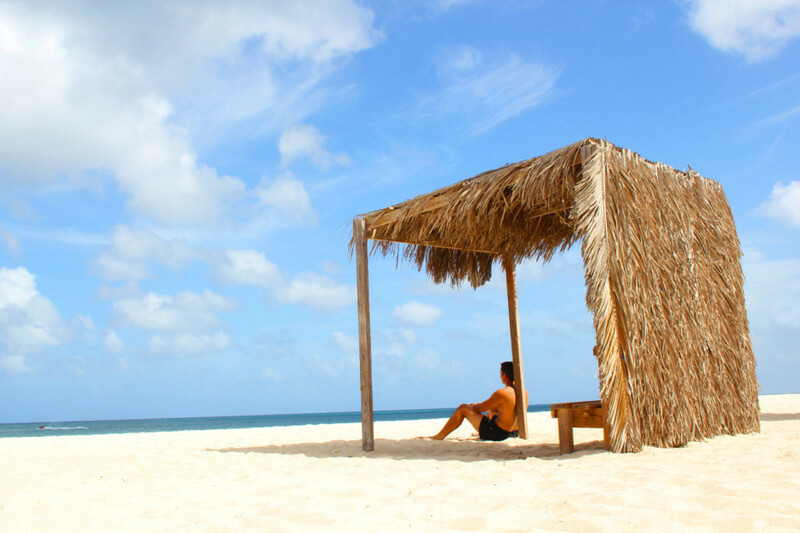 Aruba has more than 50 beaches, and everyone has a favorite. Though Eagle and Palm Beaches are the island’s most famous stretches of shoreline, everyone has discovered some secluded little (and not so little) cove that’s captured their heart. Whether it’s the perfect winds of Boca Grandi for kitesurfing, the stunning reefs of Mangel Halto for snorkeling and diving, or the waves of Andicuri for body surfing, exploring the island usually results in stumbling on some breathtaking out-of-the-way beach you feel compelled to visit again and again. 5. Conchi is one of the Caribbean’s coolest under-the-radar enclaves. The fantastical formations of Conchi, or Natural Pool, on the north coast, have been a favorite of islanders and visitors since…well, forever. Encircled by volcanic rock and pummeled by waves, the pool is a dramatic and beautiful spot, great for swimming and checking out the marine life that frequents these crystal-clear waters. Even the journey to Conchi through Aruba’s “outback” by horseback, UTV, or 4×4 safari is an adventure. 6. Dining out in Aruba is a multinational smorgasbord. With the island’s population made up of more than 90 national and ethnic groups, the diversity of restaurants here is incredible. There are well over 350 places to eat on the island, and they feature a huge selection of cuisines, from regional favorites to French, Italian, Middle Eastern, Indian, Japanese, Indonesian, Chinese, and more. Several European master chefs are more than happy to ply their trade in paradise, meaning quality doesn’t suffer for quantity. 7. Getting married here pretty much guarantees you the perfect wedding experience. Not only is it way less expensive to marry on Aruba (flowers, photographers, just everything), it produces the most beautiful wedding albums and videos. Island law requires that a legal, civil ceremony take place before the spiritual ceremony — the latter most likely on the beach, at sunset, of course. The town hall, or Stadhuis, where the legal ritual is conducted is actually a beautifully restored turn-of-the-century former mansion. Island civil servants take their marriage duties seriously, performing a touching ceremony. The official Aruba website even has a bridal registry where dinners out, excursions, and other destination wedding gifts can be arranged. Best of all, the honeymoon can begin immediately! 8. In Aruba, the sun rises and sets when it should. Situated only 12.5 degrees north of the equator, with the exception of the winter and summer equinoxes, days and nights in Aruba are 12 hours long throughout the year. And even around an equinox, the difference is only about half an hour. 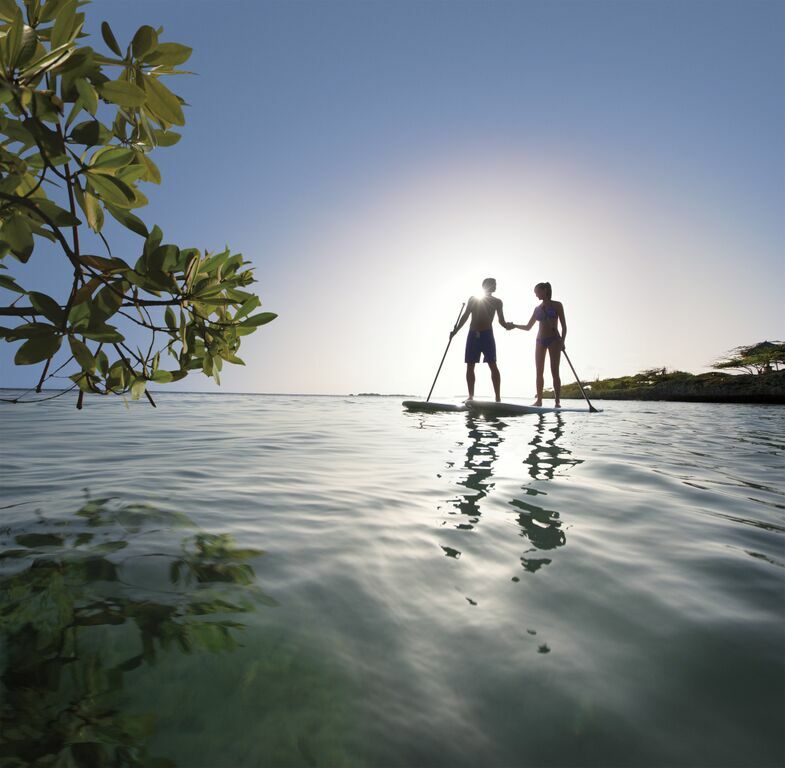 Since there are no extraordinarily long or short days or nights, that means plenty of daylight for all the outdoor activities we love, like windsurfing, scuba diving, and paddle boarding. And then there are those balmy nights — nights that allow plenty of time for partying at the Bon Bini and Carubbian festivals in Oranjestad and San Nicolas, and plenty of time to sleep those wild times off. 9. There’s serious culture in Oranjestad and San Nicolas. 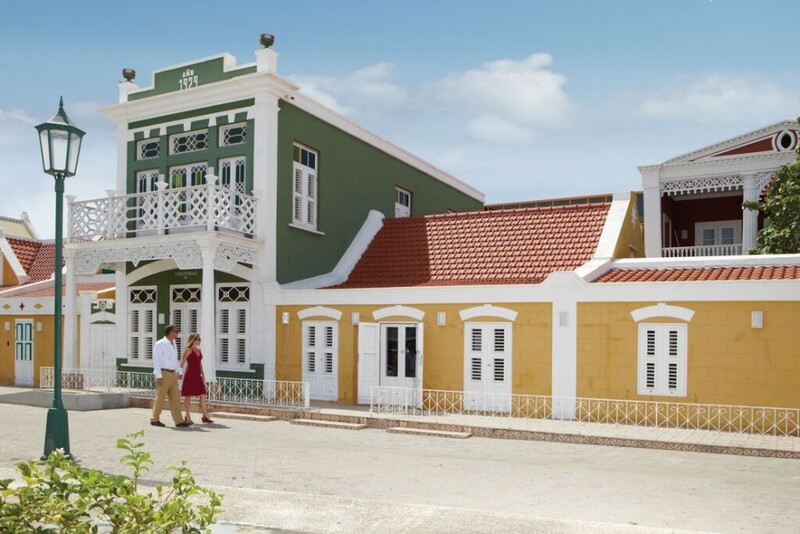 A superficial impression of Aruba is that it’s all about sun, sea, and sand, but a day exploring Oranjestad’s museums proves there’s much more to the island. In the capital you’ll find the National Archaeological Museum Aruba, or NAMA. There’s also the Historical Museum, located within the landmark Fort Zoutman, and a creative artistic community to be discovered at the UNOCA and Cosecha art centers. Aruba’s Cas di Cultura performing arts center regularly hosts internationally renowned dance, theater, and music troupes, as well as the Aruba Piano Festival, where some of the great names of classical music can be heard for comparative pennies. Families can even keep up the holiday tradition of seeing a ballet performance of The Nutcracker, staged by the acclaimed Kozlov Dance International. 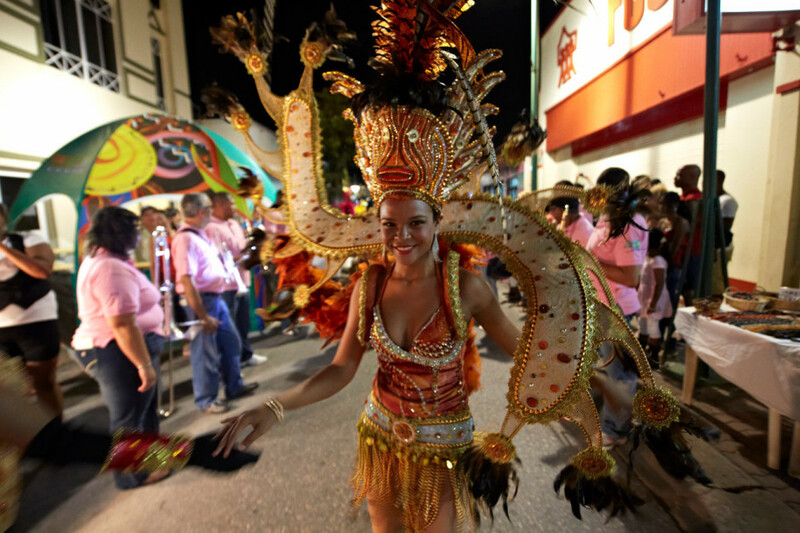 In San Nicolas, Aruba’s Sunrise City, make sure to check out the weekly Carubbian Festival. Held every Thursday, it brings the spirit of Aruban Carnival to visitors year round, featuring parades, live music, performance art, and plenty of opportunities to sample the local cuisine. 10. There’s nothing quite like scuba night diving. You may have discovered your new passion for scuba diving after taking one of the easy “resort courses” offered by numerous qualified dive operators on the island. Now it’s time to take it up a level. On Aruba, night diving can become an all-consuming obsession — the bright lights used when darkness falls reveal the magnificent hues of the fish, corals, and sponges in ways you just can’t perceive during the day. 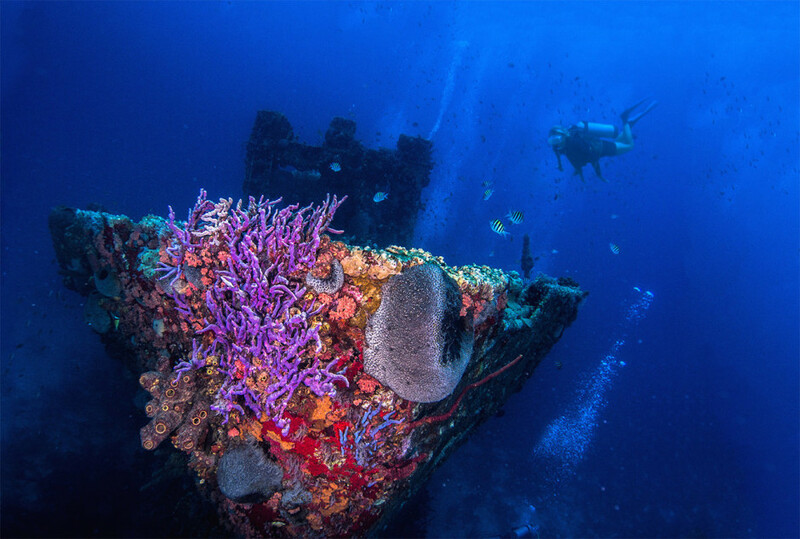 The Antilla shipwreck is the ideal dive site for an inaugural night dive, the size and shape of the wreck offering an endless variety of fantastical, nocturnal sea life to discover. The warm waters and even warmer air temperature on surfacing make the trip. Plus, you get one of those awesome sunsets on your way to the dive site. 11. Whatever your tastes, there’s a festival for you. Each month there’s some sort of festival or concert going on here, or maybe a fashion or film festival. Jazz and Latin lovers count on an incredible experience at the annual Caribbean Sea Jazz Festival come fall, and the Memorial Day weekend Soul Beach Music Festival is always good to go. And it seems like every year new festivals with new themes — like the Aruba Summer Music, Love, and Electric Festivals — are kicked off. What makes these events particularly special isn’t just the official performances but the peripheral happenings. New friendships are forged at the all-day beach and after-concert parties. 12. 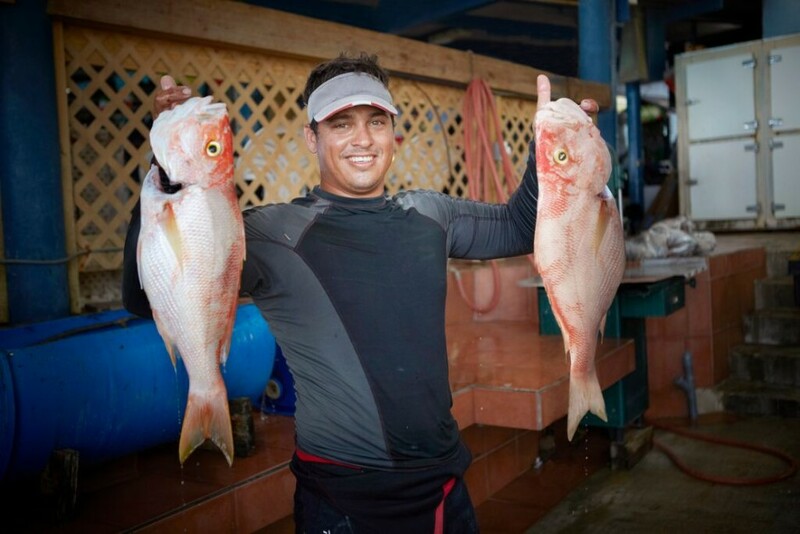 Aruban hospitality isn’t limited to the locals. 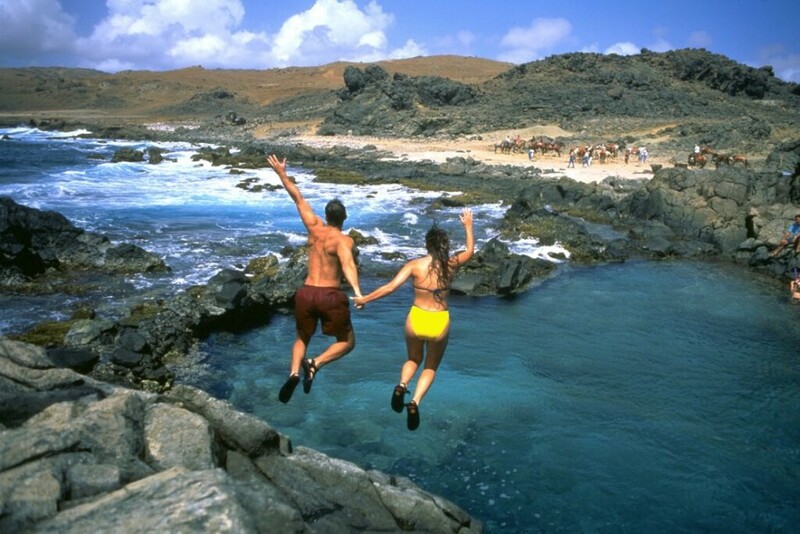 Aruba has the highest visitor repeat rate in the Caribbean. And the folks who keep coming back love sharing their inside knowledge of the island almost as much as the locals do. When you wanted to know about restaurants or interesting things to do, you likely found your neighbors on the airplane or cruise ship were a fount of information and only too willing to help. But that’s what Aruba does to you: You can’t blame anyone for gushing about their “home away from home” when that home is Aruba.